One of the most rewarding things we do as company is design and create custom furniture. This allows us to collaborate with our customers and bring their ideas to life. 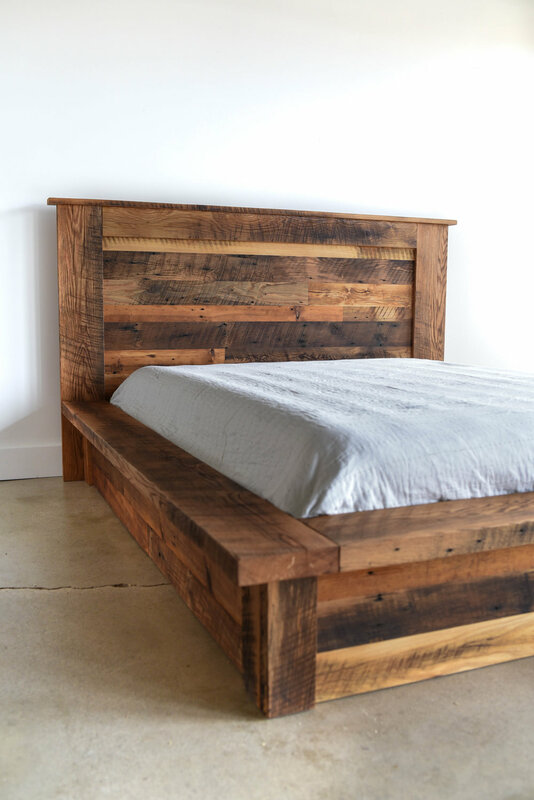 Our latest custom platform bed was created for our customer's daughter (lucky girl!). She specifically requested a tall headboard to make a statement in her bedroom. It turned out absolutely beautiful! As I was styling and shooting this bed, I couldn't help but wish this were my bedroom! We wanted to create a modern design that still felt welcoming and warm. Every custom order starts with a few hand sketches for the customer to look at. After a design has been selected we do a final rendering to be approved. This allows the customer to get a 3-dimensional visual before we go into production. 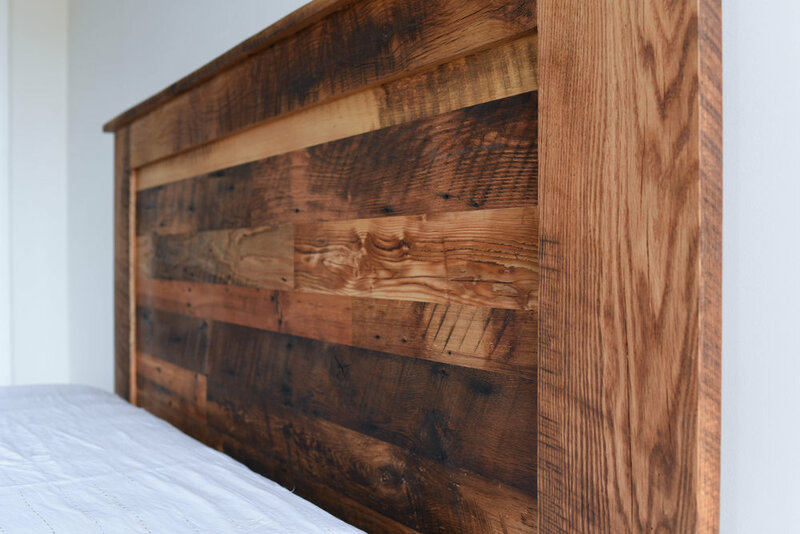 With this bed we started with a modern platform base, added the patchwork detail, and trim around the headboard to create a minimalist design. 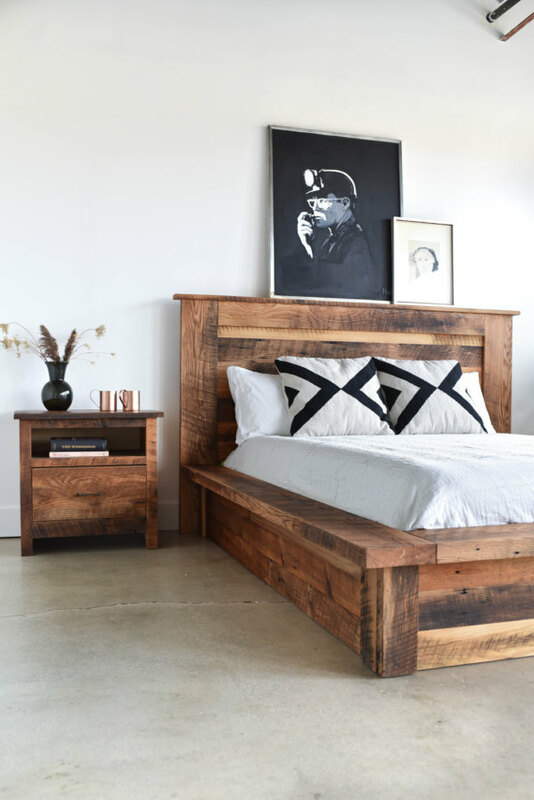 Each piece of furniture we create is handcrafted in our workshop outside of Chicago. 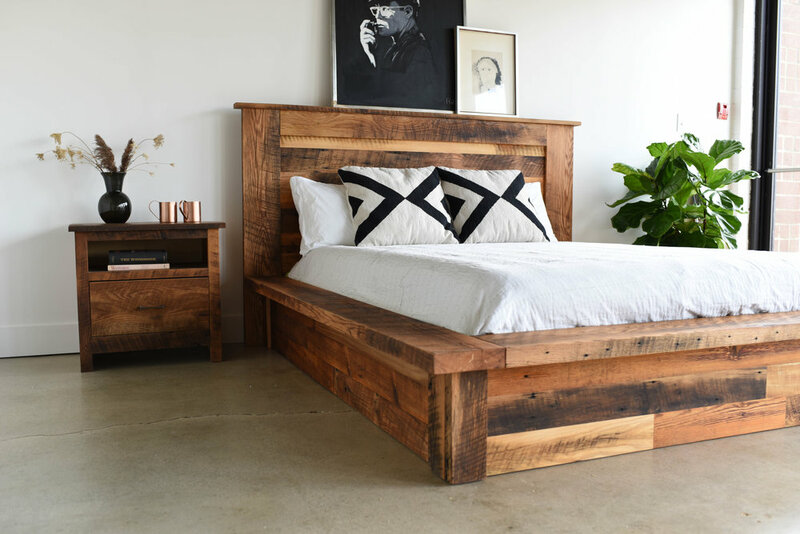 The reclaimed wood we use is sourced from barns torn down in the Midwest, and we use a voc-free, plant based finish that brings out the natural grain and texture in the wood. What do you think of our new design? What would your dream bed look like? Like what you see?! Click HERE to purchase this bed! Posted on February 13, 2017 by Katy Quinn and filed under Customize It! 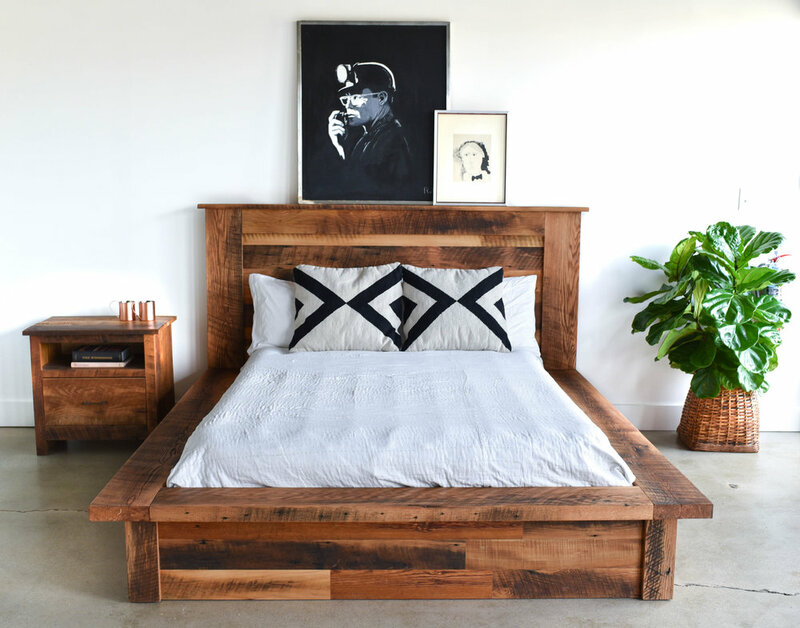 and tagged interiordesign customfurniture reclaimedwoodfurniture minimialistdesign madeinamerica minimalistdecor modernbed modernbohemian chicagofurniture industrialchic magazineworthy. Hello! Katy Quinn here, creator of this blog and designer & marketing director of the What We Make team. Why the "WE" you ask? Not only are WE family owned and operated, WE encompass community, local artists, friends, and family! I'm here to share our journey, behind the scenes insights, and how-to interior design tips. Discover WHAT WE LOVE...our favorite artists + designers, events + workshops, and new products + inspiration.